Trigger Pull: A little different then that of the real steel APX. On the real steel there is a trigger safety and it uses a striker-based system with a fairly short reset and take-up. On the Umarex replica airsoft version the trigger does not have a built-in safety and the reset and take-up are much longer (full-length). 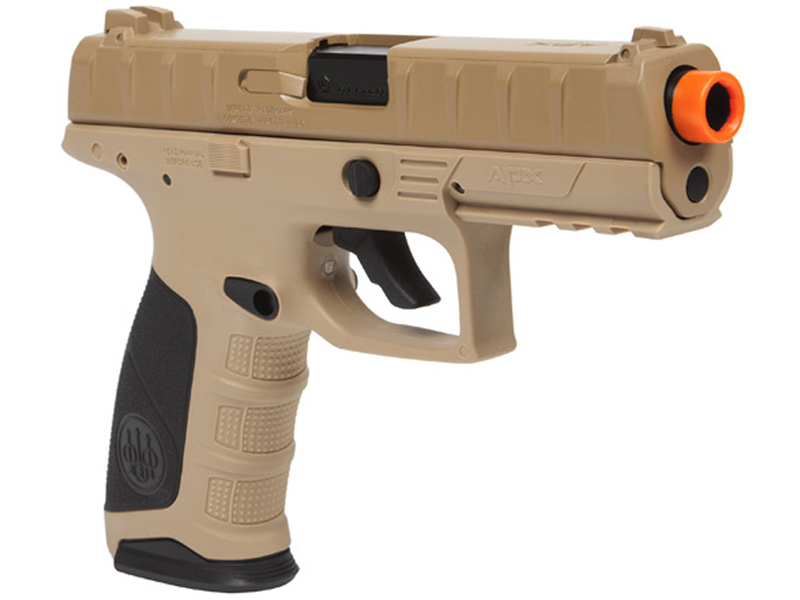 I have read that both the real steel and airsoft versions of the APX have about 6 pound trigger pulls but I personally felt like the airsoft version was heavier than that, perhaps because of the long pull. 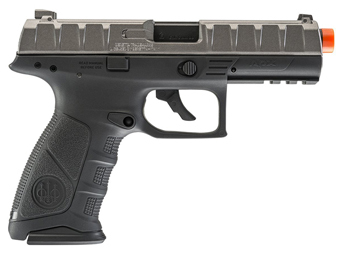 Overall, the Umarex's Beretta APX trigger is acceptable but not my favorite. Accuracy: I have not shot the APX airsoft pistol so far but I have shot the 4.5mm steel BB version and it performed well. I got pretty much exactly what Umarex claimed for FPS so I would expect the airsoft version to shoot close to 325 FPS with .20 gram airsoft BBs. Accuracy for the steel BB version was about 2 inches from 30 feet away with a 10 round group. Generally speaking, the airsoft version will shoot a bit more open so I am hoping to get somewhere near a 4 inch group with the airsoft pistol. Build Quality: Very good. 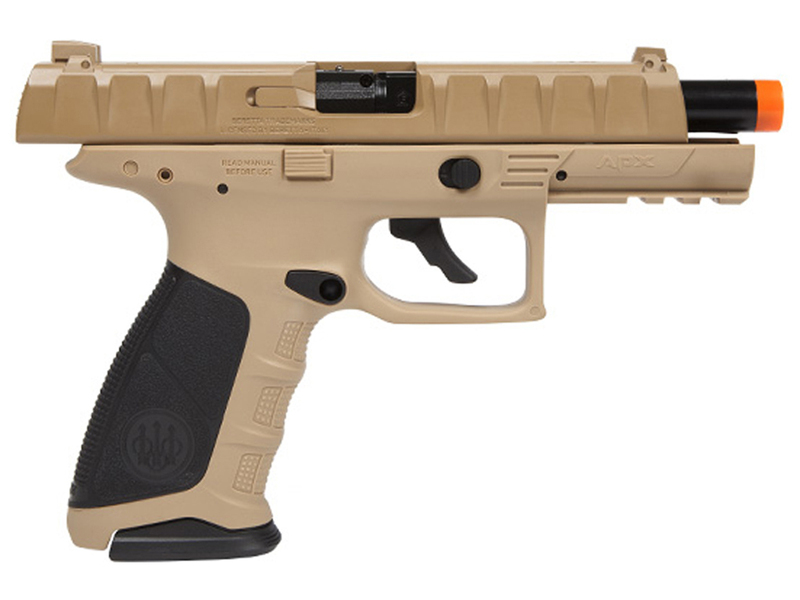 It feels heavier than 1.5 pounds in the hand, perhaps because it is a more compact gun. 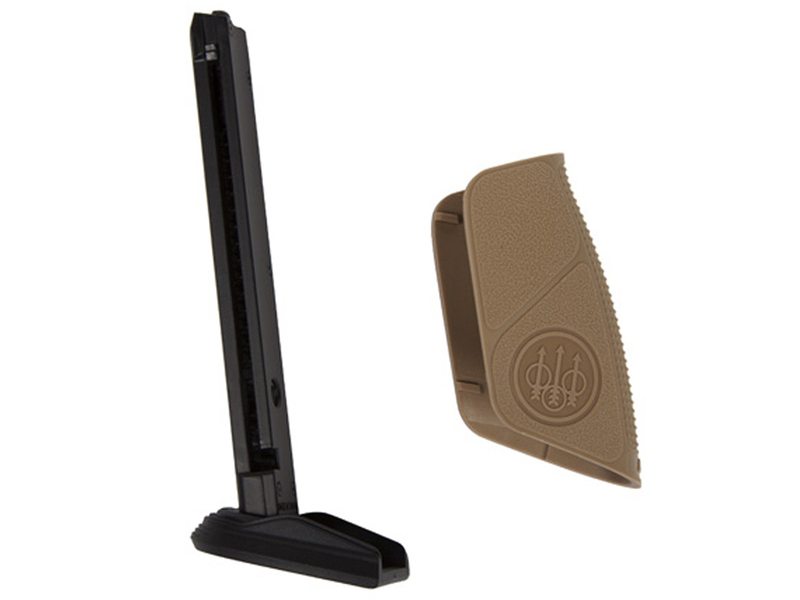 The metal slide, metal stick mag, and internal metal parts all help to balance off the polymer frame nicely. Fit and finish is also good. 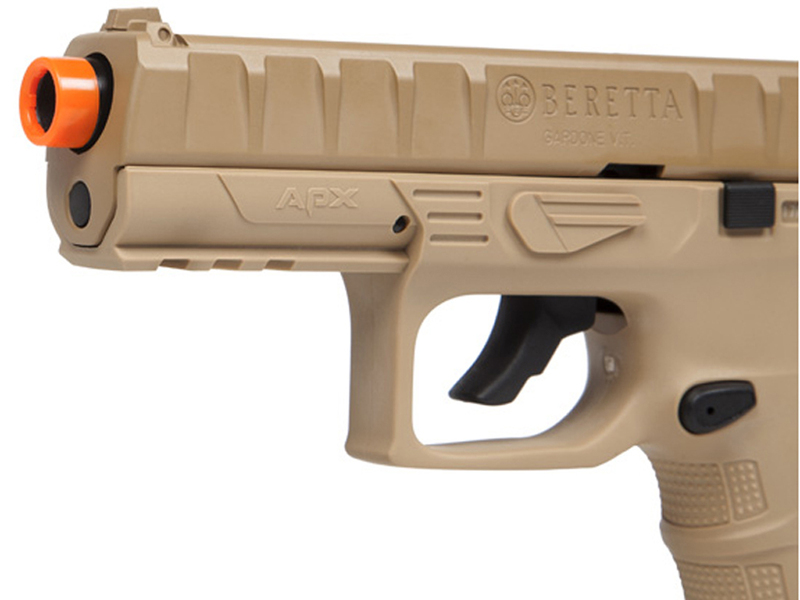 Realism: Overall, the Umarex Beretta APX CO2 Airsoft Pistol is a close replica to the real steel APX other than the added safety and missing trigger safety. 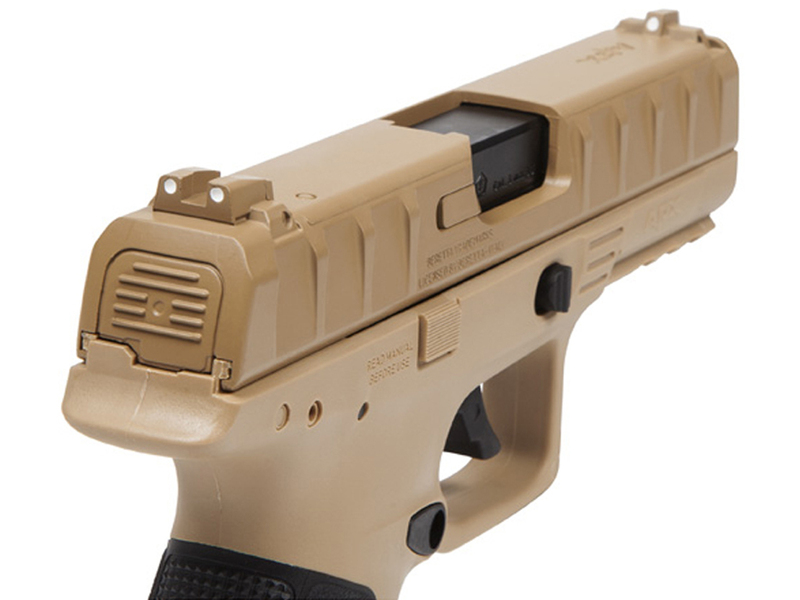 The added safety does not stand out too much and does serve a purpose while the missing trigger safety could've at least been there for show if not an actual working safety. 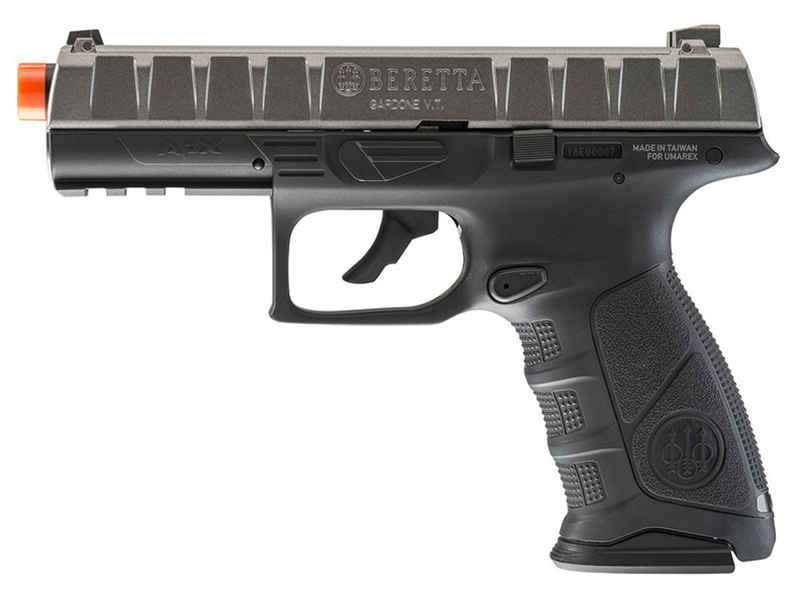 Other than that, the pistol is very close to the Beretta APX with its full licensing, open ejection port, recessed barrel working slide catch release, and blowback operation. 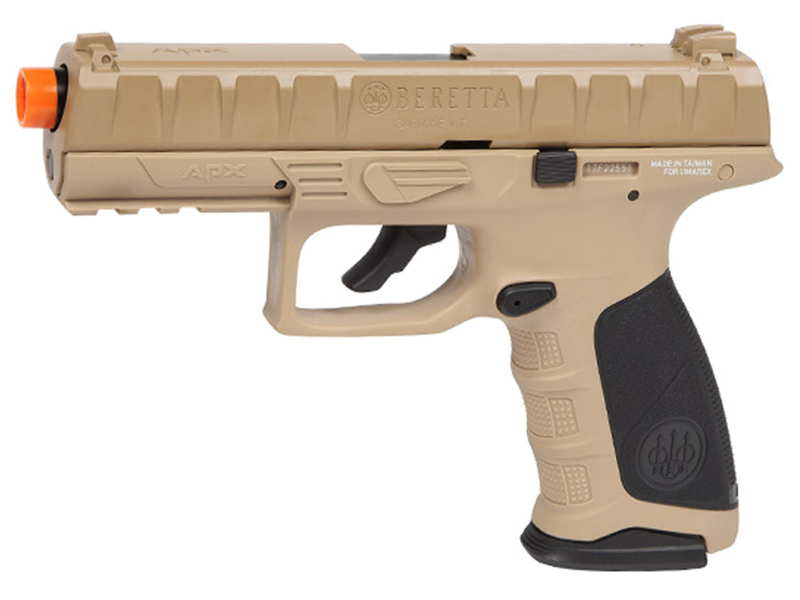 Comments: I like that the airsoft version of the Beretta APX now comes in a box and also not only includes an extra magazine but a grip back strap in an alternate color for those that want a bit of customization. 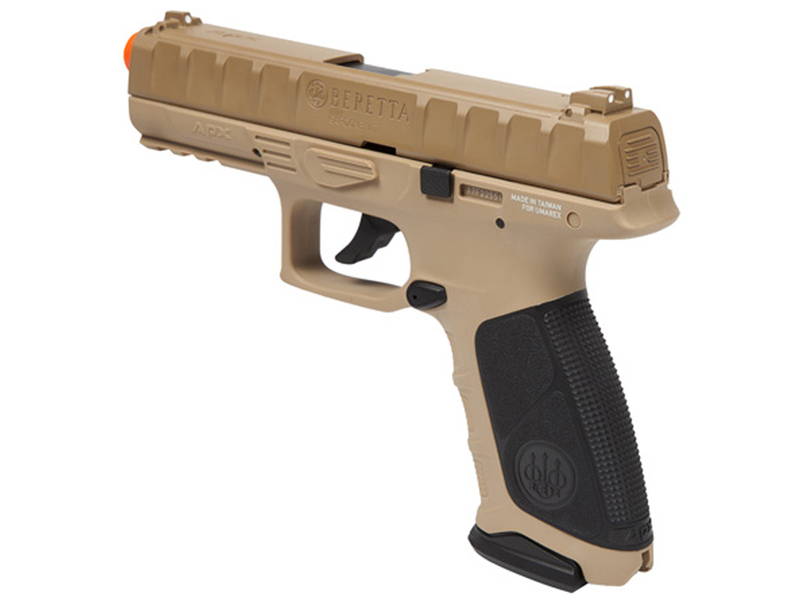 The Umarex Beretta APX CO2 Blowback Airsoft Pistol feels good in the hand and even though the trigger is a bit long you can still get off some pretty quick shots since the trigger pull is not too tough. 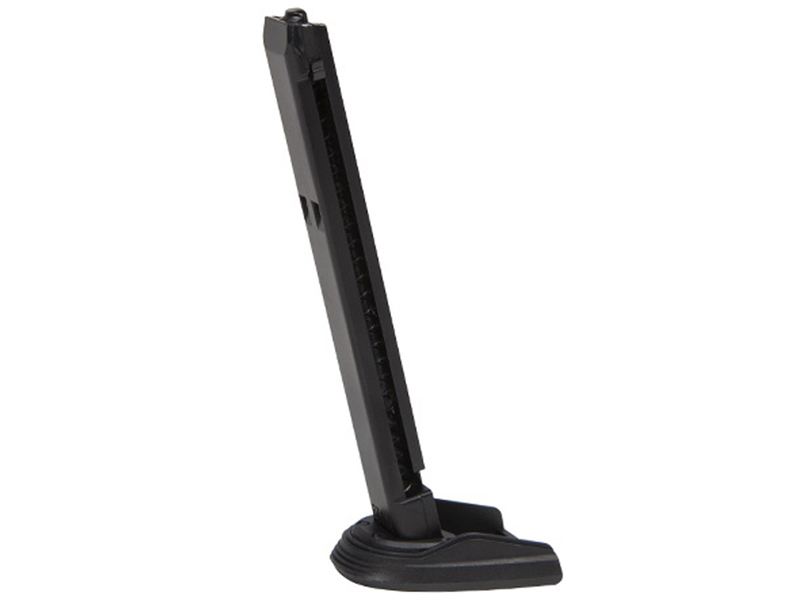 The pistol makes a fairly economical option for your sidearm in airsoft battles and if you want more than two magazines then additional magazines are not that expensive and will not weigh you down on the field.